Just making another post to call out the massive amount of frame lost that a lot of players, including myself, have been getting since the ash update. Typically happens on hero select and 30 seconds into the match, but will also occur at random during the match itself. It has been an utter nightmare playing with this since I typically average about 40 fps (which i’m okay with) but I get dipped into 10fps and can’t play the game at all because of how much frame lag I have. It’s basically like: hope you’re looking in the right spot, don’t hold w, and spam m1. That being said it only lasts for 5-10 seconds when it does it randomly, but that is still a long time to wait. 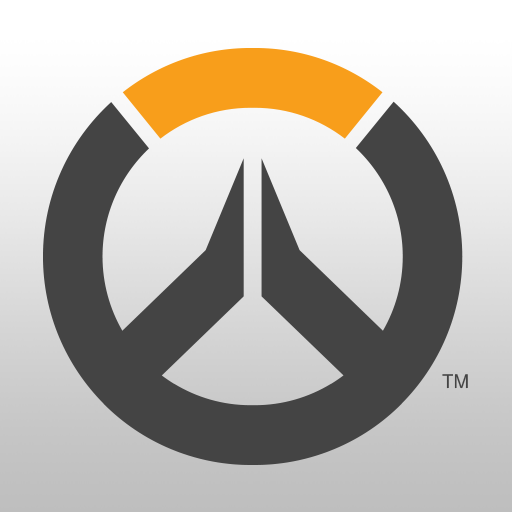 I really hope the maintenance later today, helps fix my fps, or that someone at blizzard knows about this because there hasn’t been any word on it as far as I’ve seen. 40 FPS is by my standards underperforming to play with. Technically if your system meets the RECOMMENDED system requirements for Overwatch, should be able to get 60 FPS with at least minimum graphic settings on the Overwatch video options. Now systems that only meet MINIMUM system requirements, or use UNSUPPORTED hardware, may encounter undesirable performance in their games. This is not at all what I’m getting at. I’ve done everything I can to improve my frames on this game, my hardware is just that bad. That being said I’ve grown accustomed to 30 fps games, so they don’t bother me as much as they do some people. Anyway with all that aside this post is addressing the fps drops that people have been talking about and has nothing to do with my personal computer issues, If I wanted to talk about that I would’ve made my post more along those lines. No, this is addressing the fps drops that have been happening from the latest patch, please read the post before replying. …Not to mention if you looked at other forums you’d notice that I’m not the only one experiencing this, even people that regularly get 200+/- fps have been getting fps drops similar to what I described since the latest patch. But had no issues before ashe patch. I get 30 fps and i’m playing just a little bit below minimum requirements, though after the Ashe update my frames randomly drops at single digits at random times too! it’s annoying though if the stuttering issue was removed the patch update increased my fps by a little bit. Through experience and a bit of experimenting i found out that the bug may (possibly) be occurring because of players swapping to each hero which in turn rendering deathmatch and majority of the game modes unplayable. I’m also having the same issues, along with the friends I comp with. It has been since the Ashe update into live servers. And I have a pretty beefy set up since I also stream and even I’m dropping to 10 fps during matches which has lead to a sizeable SR drop. I’ve been having this problem for over a year. No troubleshooting or optimizations change the nature or timing of the frame drops. I’ve had this problem too but people keep thinking its because of 6 bobs. Its not. It happens whenever me or someone else in the match are in character swap I think. There has been serious issues since the patch that released Ashe. Risked a comp match today that veered toward a slideshow at times. Thankfully we won but hopefully we can get some more info on this. Aside from a reinstall, I’ve tried all the proposed fixes with nothing helping yet. Getting massive fps drops too even on a ultra high end system. Have to play with 75% renderscale to compensate for the massive reduction since the Ashe patch. The game itself has some serious optimization issues. I’ve DDX’d this problem from October of 2017 and again when it started 1 year later nearly on the dot. I’ve got the COMP TIA A+ Certification here and was working on my CPTE license as well as my Cisco CCNA and CCNP training classes. The economy went to heck and stopped 3/4 of the way through after COMP. and I still retain a decent amount of knowledge. My uncle works for a massive Pharma Company out of Florida as a well-paid tech support, software support specialist and we have both discussed this to the letter. I’ve been around the Plasmon Storage systems, (UDO, MO) used in Gov. and Medical image storage, so I am NOT a run-of-the-mill support person. I. Here is what the deal is. Everything here points to Memory issues with the game. Doing stat tracking. performance testing and even taking actual numbers from across various board manufacturers the problem lies within the software itself. No matter what type of tweaking someone can do on a motherboard it’s there from ANY processor type. Even running this game on the NEW RTX 2060 and today’s latest patch of windows is NOT going to solve ANYTHING. I JUST did it. II. This game APPEARS to more heavily rely on the Processor and the RAM, NOT the GPU. It didn’t really matter if I floated this game over to a GTX 1060 or an RTX 2060. The issues are STILL There. The only hope for the consumer is to OVER-SPEC their hardware so when the dips happen they are less noticeable. Any motherboard that is LGA 2011v3 or 2066 or a large thread ripper processor. The 1151s are NOT liking this game, and many other SMALL CPUs. 16GB of RAM in Dual channel @ the listed speed the processor can handle. 750w minimum of a Certified power supply from a trusted or reputable PSU builder such as EVGA or Corsair. Test the power supply’s VGA output on a the PSU tester UNDER a load and NOT to plug in the 24v ATX power rail. It’s going to show a person IF there is a “voltage sag” that fall outside of the threshold of the 5v power rail. 5v power rails TAKE OUT hardware often, compared to the 12v rails, which offer MORE tolerance. Often we find that 5v are half the cause, and this game’s Memory requests are NOT behaving correctly. I don’t see these types of issues in other games such as Tom Clancy Ghost Recon Wildlands which significantly taxes a computer MORE than this game. The streamer Kephrii seams to play just fine on an intel 2011v3 board, but I must say that his processor is WELL, outside a “reasonable CPU” cost, clocking in at just around $1k in a chip. That’s really pricey. If you can, FORWARD this over to the Development team and just have them POST what they are using as test hardware. It’s not a marketing thing, but it would give us a better idea what specs they are setting this for. Usually in IT, it’s SIMPLE over-sight. I’d rather take a look at what they are using in-house and that they inform people so this can solve issues. I mean if they are running this thing on an HP workstation vs gaming hardware, we need to know. I mean it COULD be an ECC memroy issue! They run ECC memory on development machines while gaming hardware typically does not. In game, after the lunar event patch, my frame rate gone from 60 - 80 to 20 - 50. Please Blizzard, fix this issue, because it’s being impossible to play competitive games.